When it comes to security for your business’ network, most people likely think of viruses, data breaches, and other virtual threats. While those are more obvious threats that should be prevented, all the firewalls in the world won’t stop the physical dangers that are inside your building right now. These threats can damage equipment, force hardware to shut down, and slow performance. 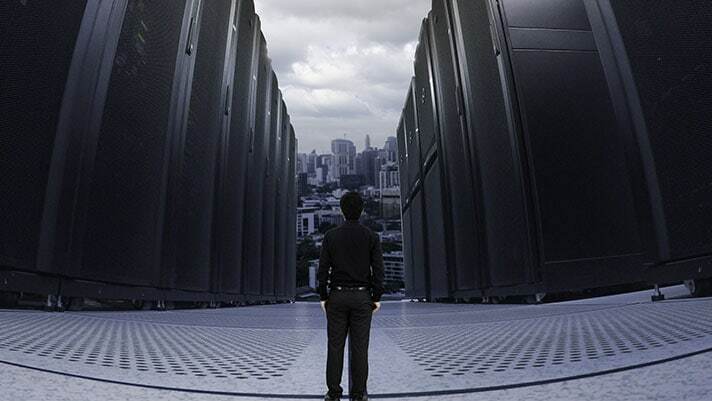 Not recognizing all risks is a weakness many companies have when it comes to protecting their server rooms. It is important to identify, monitor, and report all hazards in your facility. 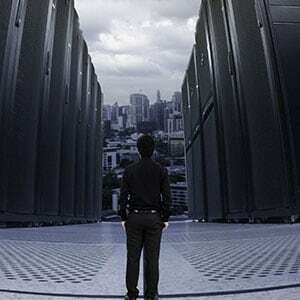 Here are five common server room threats and how to prevent them. Temperature is the foremost environmental threat to computer equipment. Countless amounts of servers become damaged due to improper thermal management. The air around your servers needs to be maintained in the range of 68° to 72° F (20° to 24°C) for optimal reliability. Not only must you consider the heat produced by the servers, but you must also account for outside influences that will have an impact on the room’s temperature. 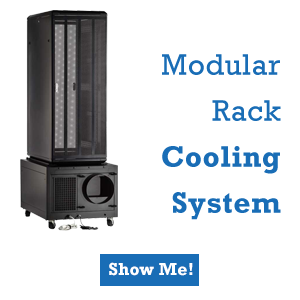 It is critical to have visibility on the temperature of your server room or data center at all times. Larger scale operations typically take advanced measures for this, but if you’re working with a smaller setup, there are other measures you can take. One thing that you definitely need to take into account is proper airflow circulation and keeping hot and cold air separated. 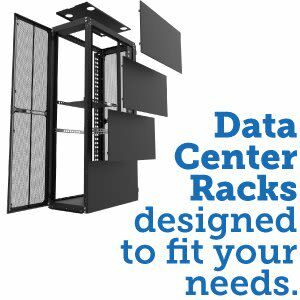 Easy tools to help manage airflow include rack-mounted fans and blanking panels which can help direct and contain airflow. 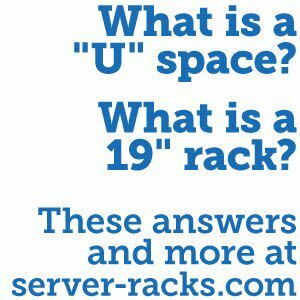 If you have multiple racks setting up a hot and cold aisle system can also help manage airflow. In addition to the hot and cold aisle setup, a partial aisle containment setup will also help prevent hot and cold air from mixing by preventing the air from escaping each aisle. In a computer room or data center, relative humidity (RH) levels should be between 45% and 55%. If RH levels become too high, water condensation will cause corrosion, rust, and short-circuiting within the equipment. Too little moisture can also become a problem, as an overly dry environment can result in electrostatic discharge, which can cause the server to malfunction. Since temperature and humidity are directly related, it is important to monitor the two. Vibrations are a hazard that can dislodge components that are critical to your system. Vibrations can also disturb rapidly spinning hard drives, and even with the tiniest scratch your data can become ruined. Vibrations can come from having your server too close to a wall or hallway. People walking by, machinery or even a large truck on the other side of a wall can cause potential movement. Keeping your data center out of reach from other people and away from large machinery can help prevent this. 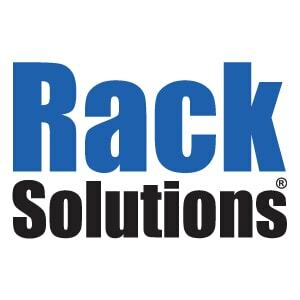 If other people will be around your equipment, an enclosed rack with a locking door will keep people from accidentally coming in contact with sensitive equipment. It sounds silly to have to say that water is bad for electronics, but the truth of the matter is, water damage is one of the biggest problems for many data centers and server rooms. In fact, water leaks cause as much as 24% of data center outages. A number of these leaks are due to damaged plumbing behind the walls and ceilings of the server room. Even a small and small leak can cause critical damage to your systems over time. The obvious solution is to avoid putting your server room close to areas with plumbing, but that’s not always possible. If you don’t know, you don’t know if your server room is surrounded by plumbing, find out and regularly check for leaks. If you seldom go into the area where your servers are, a slow water leak could cause critical damage. A small amount of water in the wrong place can short circuit several valuable components, which leads to the downtime of your network and lost revenue. A lot of equipment in a rack means a lot of cables. Improper cable management can lead to a number of issues. Disorganized cables can cause equipment interference and are at risk of being pinched and causing outages. Technicians also have to spend more time on maintenance working their way through jumbled cables just to try and figure out what goes where. Jumbled cables can also disrupt airflow in the rack by getting in the way of system exhausts. Proper cable management will not only support existing infrastructure but will also allow for future growth. 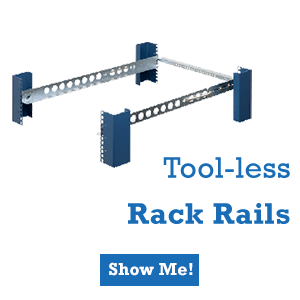 Now there are a lot of cable management tools out there, but simple vertical and horizontal cable management tools will go a long way. You should also bundle your cables using zip-ties or velcro straps. 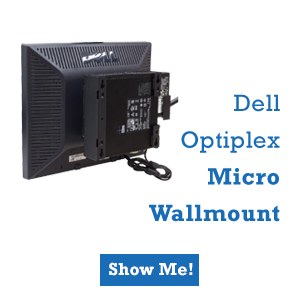 Basic cable management strategies can vary, but there are a ton of YouTube videos out there that can help you get started. Physical threats such as water damage, humidity, and temperature, could be causing critical damage to your system now. Here's how to prevent it.